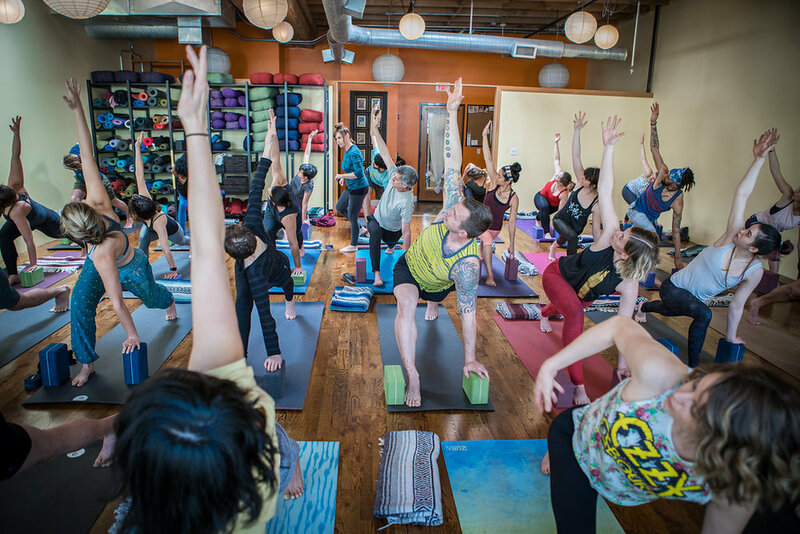 Yoga Bhoga is located in Portland, Oregon. We are a collective of teachers that blend a wide variety of experiences and lineages. This provides a unique opportunity in our classes to explore and practice different styles of body alignment, breath work, and sequencing. This experience ultimately leads to a personal practice that is unique and perfect for you. Our primary studio is a simple space located at 1028 SE Water Avenue in the produce row area of SE Portland. When you step through the door, everything falls away: your bag, your shoes, your stress. It’s just you and your mat - the perfect environment to build strength, increase flexibility, and develop mental clarity. Our newest location is at 4220 SE Belmont Street. This location shares space with Cascadia Pilates and CoreAlign. With the same expert instructors as Yoga Bhoga on Water Avenue, this additional location gives each student over 50 classes to choose from throughout the week. If you are new to yoga, please read our guide for new students. If you have any questions about anything, please contact us.